A remake of the Pele Big Kick game by Meccano France. 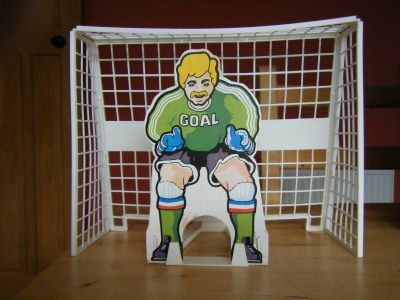 One large figure who can kick plus a goal and card keeper. 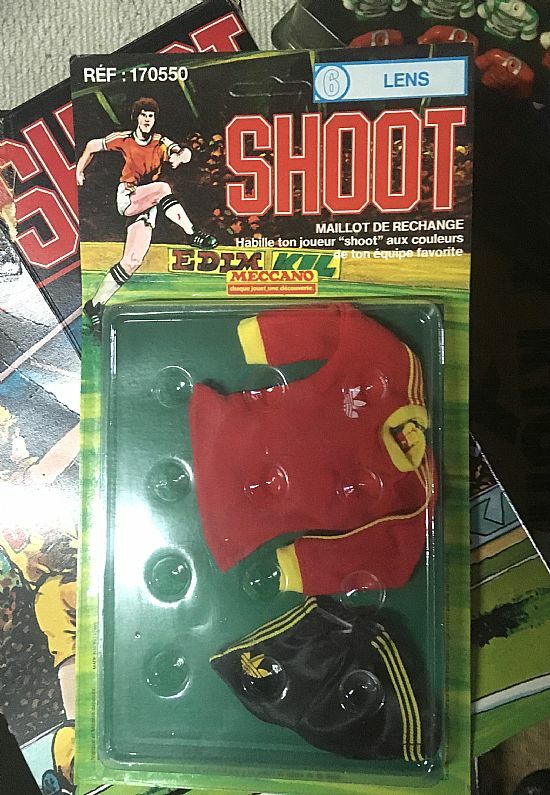 Pretty basic but he looks cool in his Adidas kit. 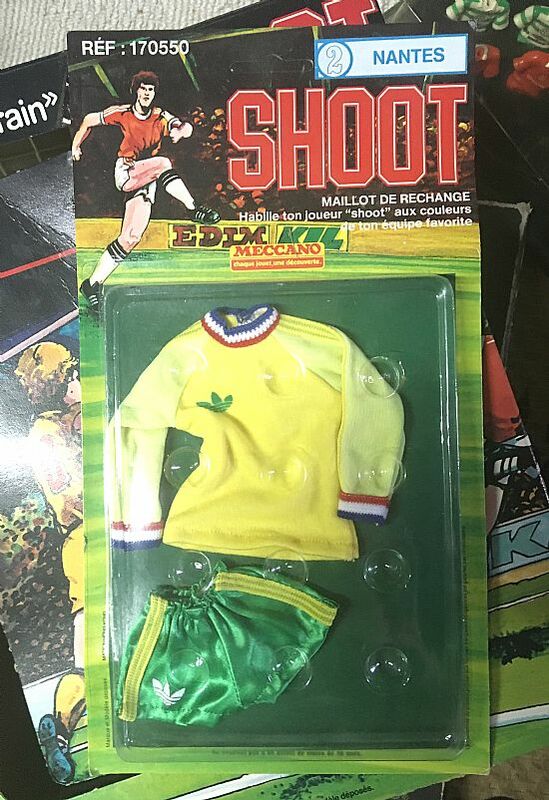 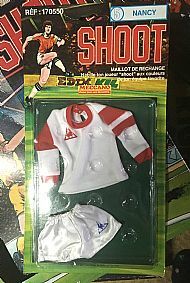 I'm looking for the St Etienne kit to complete my collection. 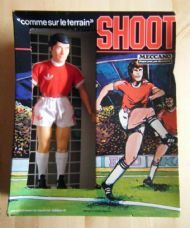 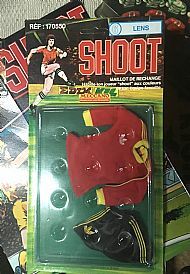 Large square box containing figure, stand, goal, keeper, rod and balls. 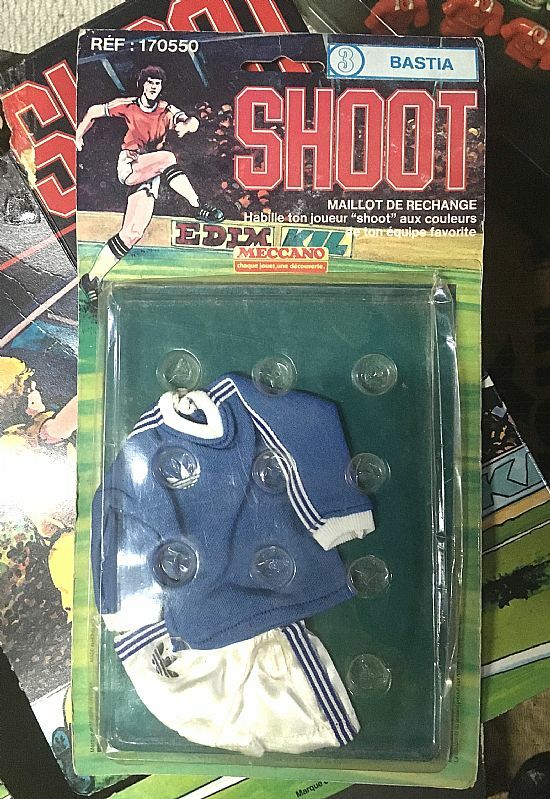 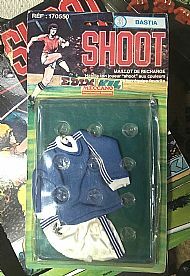 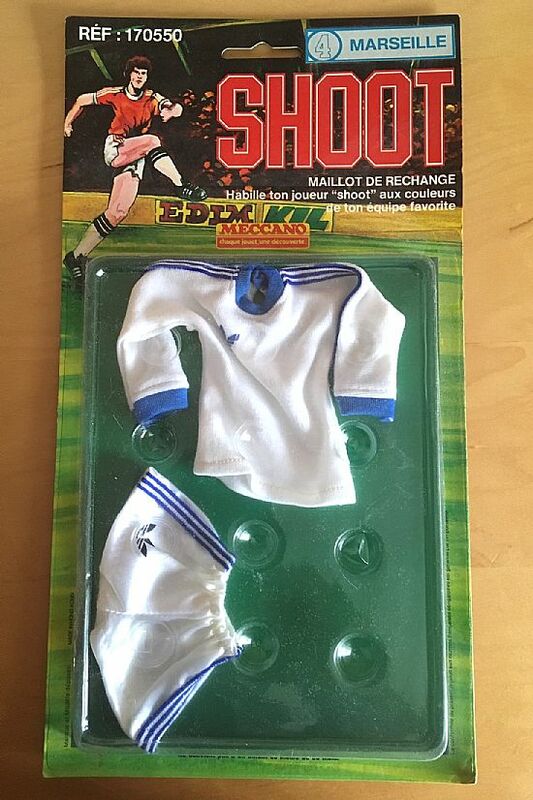 Complete Bastia kit for your Shoot figure. 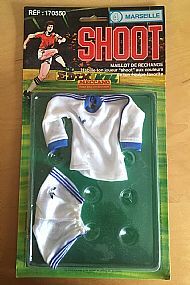 Lovely Nancy kit for the Shoot figure. 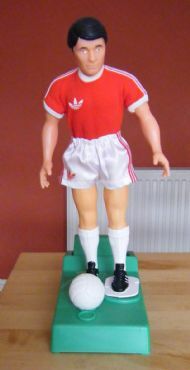 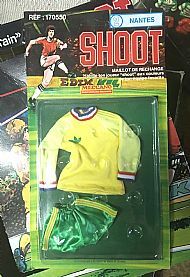 Bonjour, 12" of footballing hero resplendent in his Adidas kit. 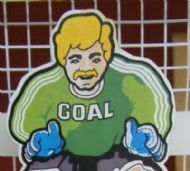 Neat tache for the keeper.